Lockout situations are very frustrating, and every one of us would have experienced it one time or the other, but we never want to talk about it. It can happen any time of the day and anywhere, to our dismay. The very first thing that we all do in such car lockouts is panic. But we know it is not going to help us. When there are 24-hour emergency locksmiths such as Central Locksmith Store, all our worries are unfounded. Be it anywhere within Virginia Beach, VA area, you can just call us and we will reach you in minutes to get you inside your car. 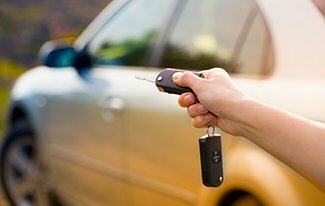 Serving the people of Virginia Beach, VA area for more than a decade with locksmith services, we know how it feels when you face a car lockout in the middle of nowhere at late nights. So we provide a 24-hour emergency locksmith service to keep you inside a safety circle. We also possess mobile locksmith vans that act as mini workshops to reach you wherever you area and solve your lockout problems. Our team of professional locksmith are well trained to handle any kind of lock and key problems such as car lockouts, ignition repair, broken key extraction and transponder key programming. Facing a car lockout situation? No worries! Call us at 757-215-1907 and we will reach your spot in a jiffy!